Aristotle thought about life in two seemingly very different ways. He studied and described human and animal anatomy and physiology in considerable detail. He also looked at life metaphysically and asked, what are the fundamental categories in which our though must be expressed if we are to understand life and nature. For most philosophers and scientists today these are two independent forms of inquiry: to Aristotle they were not. He saw and tried to lay out a unity between them that is a challenge to standard assumptions of contemporary thought. 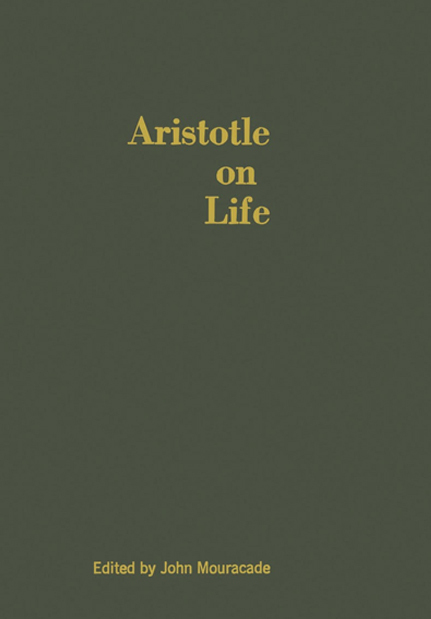 The volume makes important contribution to the understanding of both Aristotle and Life. These original essays remain relevant to both sides of Aristotle's study of life and the grounds for his belief in their unity. The essays explore familiar topics in Aristotle -form, cause, substance, nature - all with an eye to displaying their physical and metaphysical complementarity. Contributors: Devin Henry, Errol G. Katayama, John Mouracade, Margaret Scharle, Christopher Shields, Paul Studtmann, Julie K. Ward.